Please update your bookmarks, RSS subscriptions, and favorites to access the most up-to-date information. 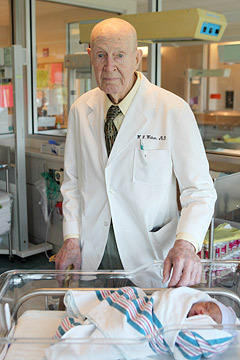 “Papa Doc,” as he’s known to many, has delivered some 18,000 babies during his career. Watson is thought to be the oldest practicing doctor in the world and, despite having turned 100 in February, still runs a full-time practice in Augusta, Ga.
Watson served in the Army before going to medical school and also spent seven years doing hard labor on a farm — for 50 cents a day — to save up for his education. He did his residency at University Hospital in Augusta, and still works there to this day. a number of new medical schools have opened around the country recently. As of last October, four new medical schools enrolled a total of about 190 students, and 12 medical schools raised the enrollment of first-year students by a total of 150 slots, according to the AAMC. But medical colleges and hospitals warn that these efforts will hit a big bottleneck: There is a shortage of medical resident positions… There are about 110,000 resident positions in the U.S., according to the AAMC. Teaching hospitals rely heavily on Medicare funding to pay for these slots. In 1997, Congress imposed a cap on funding for medical residencies, which hospitals say has increasingly hurt their ability to expand the number of positions. Doctors’ groups and medical schools had hoped that the new health-care law, passed in March, would increase the number of funded residency slots, but such a provision didn’t make it into the final bill… The law offers sweeteners to encourage more people to enter medical professions, and a 10% Medicare pay boost for primary-care doctors. [Saxagliptin] which will be sold under the brand name Onglyza, is in a relatively new class, called DPP-4 inhibitors, that can be taken along with older diabetes drugs. 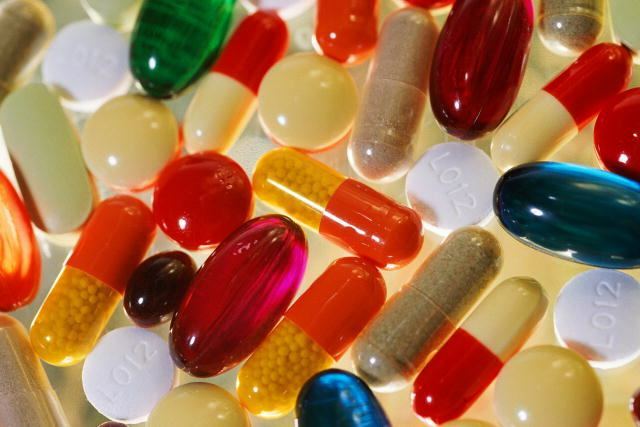 Until now, Merck’s Januvia has been the only drug in the class on the market in this country. researchers have now discovered an HIV infection in a Cameroonian woman which is clearly linked to a gorilla strain, Nature Medicine reports. HIV originated from a similar virus in chimpanzees called Simian Immunodeficiency Virus (SIV). French doctors treating the 62-year-old Cameroonian woman who was living in Paris said they initially spotted some discrepancies in routine viral load tests. Further analysis of the HIV strain she was infected with showed it was more closely related to SIV from gorillas than HIV from humans. She is the only person known to be infected with the new strain but the researchers expect to find other cases. Before moving to Paris, she had lived in a semi-urban area of Cameroon and had no contact with gorillas or bush meat, suggesting she caught the virus from someone else who was carrying the gorilla strain. rule changes have dramatically lowered the number of malpractice suits filed in Pennsylvania. There were 1,602 filings last year, a 41% decline from the annual average between 2000 and 2002, before the changes were put in place. Another rule requires cases to be filed in the county where the alleged malpractice took place — an effort to discourage so-called venue shopping, where cases would be filed in counties thought to be sympathetic to plaintiffs. The number of malpractice cases fell sharply in 2003, when the rules were in place, and have stayed down. Can the swine flu be treated with antiviral drugs? Like some garden-variety flu, this swine flu is resistant to two drugs known as amantadine and rimantadine… CDC says Tamiflu and Relenza work against this strain of swine flu, the WSJ reports. Does the flu vaccine protect against the swine flu? The CDC reported earlier this week that the seasonal flu vaccine “might not” provide protection against the flu. 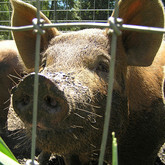 The agency says it has created a “seed vaccine” specifically tailored to this swine flu. That could be used to manufacture a targeted vaccine if officials deem it necessary to do so. The Pennsylvania Board of Nursing has published regulations implementing a 2007 law which gives nurse midwives the authority to prescribe, administer, and dispense drugs pursuant to collaborative agreement with a physician. The law and regulations also apply to medical devices, immunizing agents, and laboratory tests. In order to obtain prescriptive authority, nurse midwives must hold a master’s degree or equivalent, have national certification, and complete at least 45 hours of advanced pharmacology coursework and 16 hours of continuing education in pharmacology every two years. Intubation is the insertion of a tube down the windpipe, usually so a patient can be hooked up to a mechanical ventilator when they are unable to breathe properly on their own. The first step is to position the head properly so the tube can be quickly and easily installed. Dr. Brindley said he and his colleague, Dr. Craig Needham, noticed that many students and residents – medical-school graduates training in specialities such as anesthesia, surgery and emergency care – positioned the head incorrectly. To find out where the faulty knowledge was coming from, the physicians surveyed 80 students and residents. Many said they learned through “trial and error,” but a large proportion indicated they had picked up tips from white-coated TV characters. ER was the program most commonly cited by the students, so Drs. Brindley and Needham analyzed a season of the show. Some aspect of the head positioning was wrong in all 22 intubations that could be fully viewed on screen, their paper says. Take a look at Reuben’s work here.